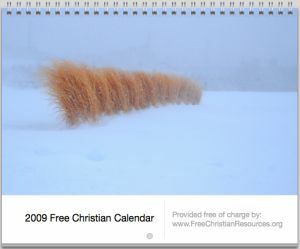 A high quality calendar for 2009 for Christians is hosted at the website. Each month has a great picture, and also bible verse. There has been lots of Christmas stuff added to free Christian resources. You can either see these at the the main Christmas page, or by browsing through all of the Christmas posts. Mars Hill is currently doing a great series of sermons based on the Song of Songs. I know a few couples (including my wife and I) in our church that are going through it together. I highly recommend it if you want your marriage to grow stronger, and you want to grow closes to Jesus. This handy post picked out the most popular free songs that have been featured at free Christian resources over the last 18 months. There are some fantastic songs included so don’t miss out, they miht not be offered free forever!